17 min. long – Our report starts at 11 min. 14 sec. 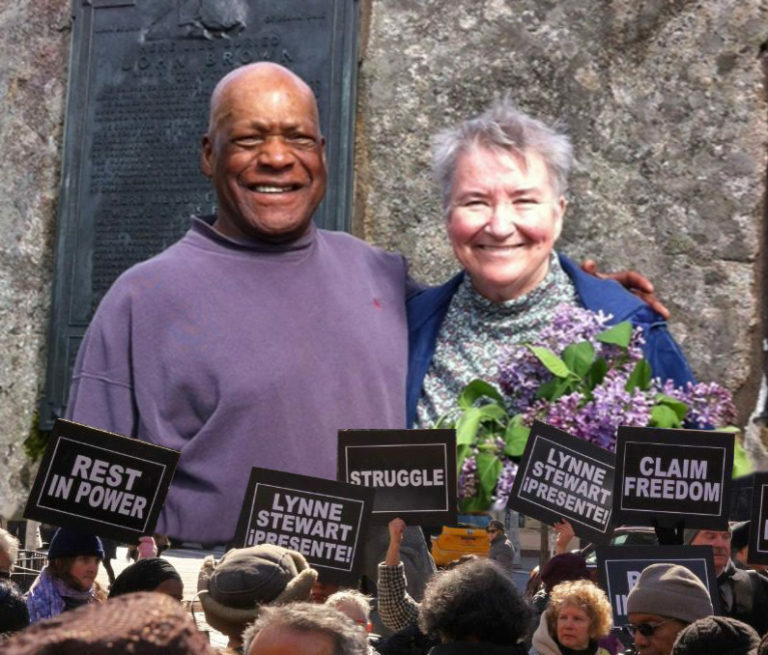 Lynne Stewart: People’s Lawyer – Presente! 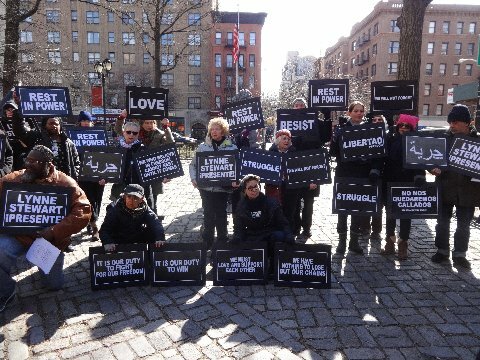 Following the news headlines, we reported on the memorial service for Lynne Stewart – attended by hundreds last Saturday at St. Mark’s Church in the Bowery. We will also do a retrospective on the remarkable life of this widely admired People’s Lawyer and fighter for justice. 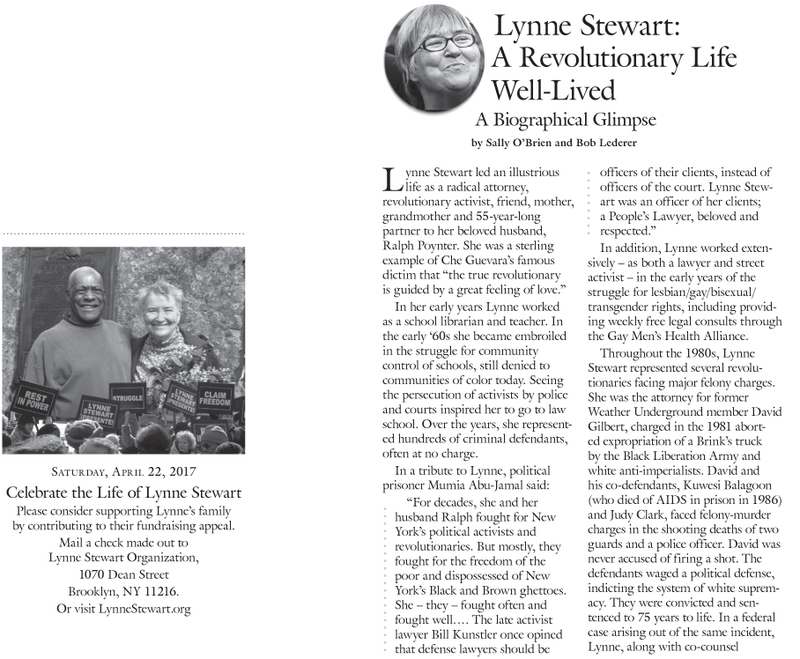 when sally o’brien and dequi kioni-sadiki of “Where We Live” will present more coverage of the life of Lynne Stewart.